Dr Nitya Patanjali graduated with honours from Sydney University in 2000 and trained at Wollongong, St George and RPA hospitals. 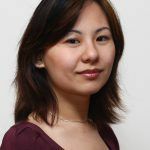 She undertook her Fellowship at the BC Cancer Agency in Vancouver, Canada in 2008, in the areas of prostate seed brachytherapy and CNS stereotactic radiosurgery. 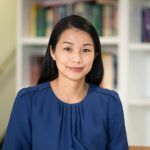 Her areas of interest include GU and CNS radiation oncology with sub-specialities including prostate brachytherapy and stereotactic radiosurgery. Current research endeavours include involvement in clinical trials in general CNS radiation oncology, spine radiosurgery and investigation of re-irradiation of high grade gliomas with fractionated stereotactic radiotherapy.